Prior to the Halloween dance, Sophie figures her worst problems involve adolescent theatrics, bitchy teen yoga girls, and being on probation at her boarding school for mouthy behaviour. Then she meets bad boy Kai and gets the kiss that rocks her world. This breath stealing lip lock reawakens Sophie’s true identity: Persephone, Goddess of Spring. She’s key to saving humanity in the war between the Underworld and Olympus, target numero uno of Hades and Zeus, and totally screwed. 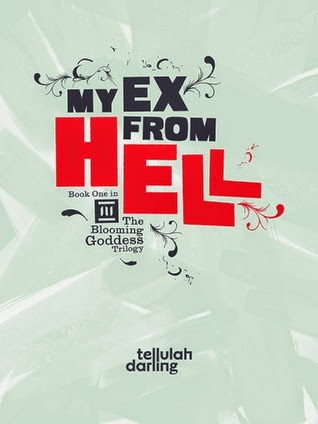 My Ex From Hell is a YA romantic comedy, Greek mythology smackdown. Love meets comedy with a whole lot of sass in book one of this teen fantasy romance series. Compared to Kai and Sophie, Romeo and Juliet had it easy. dozen Infernorators hovering just outside the fence like a firing squad. Yikes! I froze in terror as they advanced en masse toward me, reaching out their flaming tentacles. Bless Theo and his wards. Their fire simply bounced harmlessly off the air above the fence. I really was in a giant protective shield. I smiled, thinly. My turn. I figured that since I had the upper hand, I should take these things out. In my defense, it never even occurred to me that this was a two-way ward. In my head, it was all about me, me, me. So of course I’d be able to fire outwards. Yeah ... no. I sent my ribbons of light lashing out toward those bad boys. They hit the invisible shield at full speed, then bounced off it to rebound back at me. That was the point at which I totally forgot how to control them and just yelped, wildly waving my hands around as I ducked and bobbed and tried not to trip over my own superpower. A low laugh penetrated my fear. I glanced over, wide-eyed, to see Kai smirking from over by the back fence. For a second. The smirk quickly disappeared as I sent the creepers directly for him. I will swear on a stack of bibles or whatever that I didn’t mean to take him out. It was instinctive. Better him a target than me. “Duck!” I yelled feebly. He just glowered at me and put out his hand to stop them in their path. I might have felt like a busted bottle of Silly String, shooting these puppies out willy-nilly, but it was pretty impressive the way Kai had them twisting in place like that. I stood there gaping until he growled, “Quit it” and I snapped back into action. I dropped my hands but that didn’t seem to blink the vines out of existence. “Hurry up!” he snapped, the strain of holding them at bay wearing on him. Honestly, I had no clue what to do. I tried to shoo them away from him. Less than successful. I only managed to redirect one toward a small sapling, which I then uprooted and used to conk him on the shoulder. “Of all the useless ...” he began. “Who asked you to show up, anyway?” I shot back. Especially with me once again looking like Grimy, the eighth dwarf. I did the only thing I could think of at that point. Since I’d called the ribbons up with my energy, maybe I could draw them back in. I concentrated on pulling them back into me. It worked. They dissipated in a rush. Their power flooded inside of me and knocked me back about twenty feet. I landed like a rag doll. The wind was knocked out of me. I fluttered my eyes open several minutes later to find Kai frowning. At the reminder of my nemeses, I turned my head back toward where the Infernorators had been. “Oops. Sorry. You hid it well,” I said. “No.” Kai crossed his arms. End of discussion. Or changing of subjects. “Why are you here?” I demanded, refusing his help as I struggled to sit up. “I told you. Your whereabouts flash in my head.” “No. Here. Hope Park. What do you want?” “Answers. Why did you disappear on me?” “Someone tried to hurt me. Maybe it was you.” “It wasn’t me,” he stated darkly. “I think it’s good for you,” he insisted. Tellulah Darling is a firm believer that some of the best stories happen when love meets comedy. Which is why she has so much fun writing YA romantic comedy books. 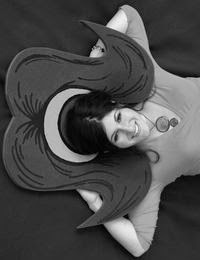 Her books span contemporary, teen fantasy romance, and YA Greek mythology, and range from stand alones to series. For Tellulah, teen romance is the most passionate, intense, and awkward there is – a comedy goldmine. Plus smart, mouthy, teen girls rock. This book looks great, so funny! Thanks for the opportunity.